Yesterday, Mary Tasillo and I made two sheets of giant paper, each measuring 48″ x 84″ (4 feet by 7 feet). 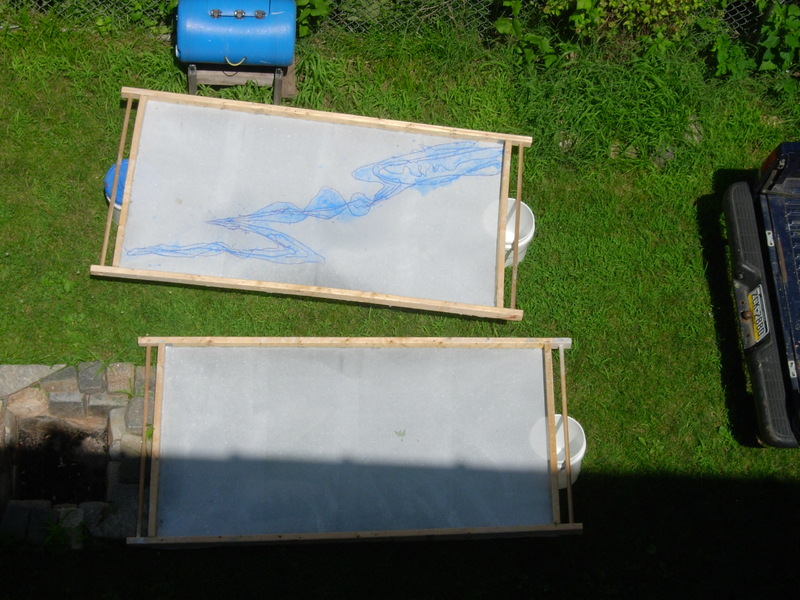 Here they are drying in the sun in the side yard. We used roughly 1/2 lb. (dry weight) of cotton pulp; 4 gallons of formation aid; and 5 gallons of water, to make both sheets. Mary then added red yarn and blue pulp to make the beautiful drawing you see embedded in her sheet. Can’t wait until they’re dry!